Pretty. Strong. Soft. Flowy. Pagoda shouldered. Asymmetrical. Pastel. Brights. Long. Short. Spring 2019 New York Fashion Week seems to have it all, acting a little like the recent New York City weather. Wait a minute and it’ll change, as long as you can maneuver around the city in time to catch it on the runway! The spring collection from Ozlana, an Australian design house, started out prettily enough. 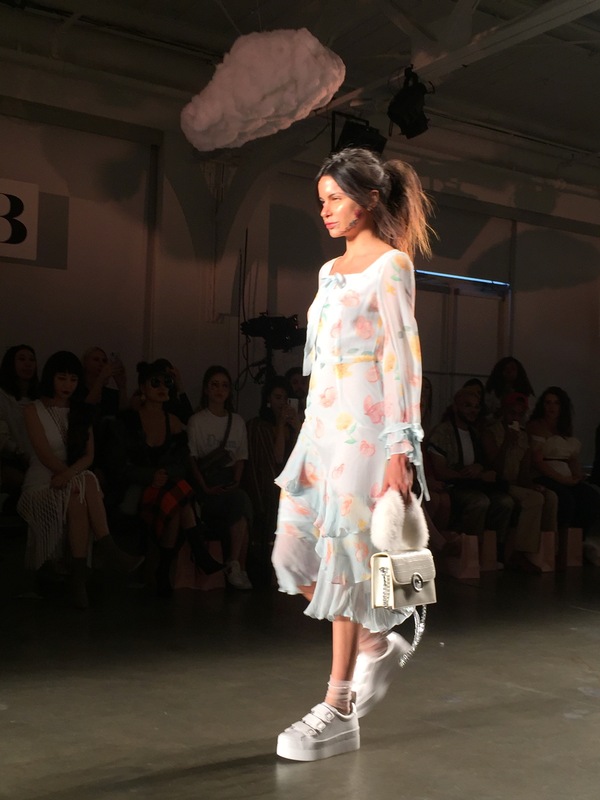 Pink fluffy clouds adorned the “sky” of a runway punctuated with faux fur bear rugs, dried flowers and patches of pink. 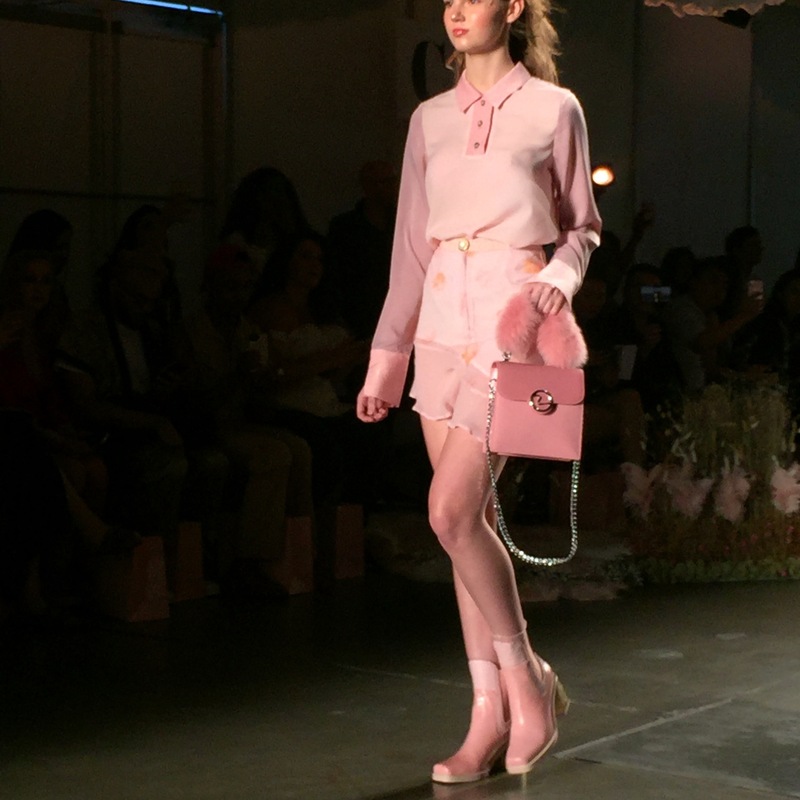 Pastels, especially Millenial Blush, figured heavily in the first part of the show. But then came fur parkas. And I convinced myself that the ice cream-hued fur vests, parkas, pocketbooks and trim on polos were faux. Sadly, it was not. I hate to get political in a fashion post, but this is more of a matter of, hey, this is spring, why do you even need ANYTHING to be fur-like and also, hey, there is so much great faux fur out there now, WHY would you need to create anything for spring out of real fur. These days, I’d rather walk a fur piece (hello: doggie) than wear one. This entry was posted in fashion and tagged fashion, NYFW, Spring 2019, womenswear by kim cihlar. Bookmark the permalink.